Wavin shows you how to install the Hep20 underfloor heating system in the video below. 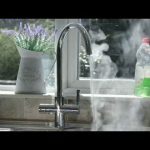 This video is part of the dedicated Hep2O underfloor heating website, www.hep2oufh.co.uk, which now features 29 ‘how-to’ videos and step-by-step guides to help customers choose the UFH system that’s right for them. The video suite has been updated to include guidance on installing the Hep2O staple and plate systems, testing underfloor heating systems and programming the controls.